Kaye Bustin is a ceramicist who works from her Waikanae Beach studio, creating her own designs inspired by the beauty found around her on the Kāpiti Coast. 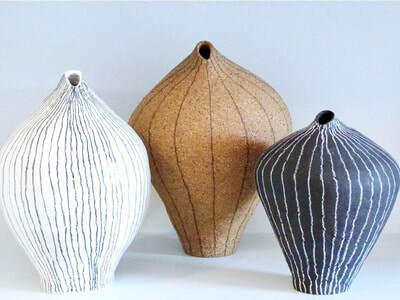 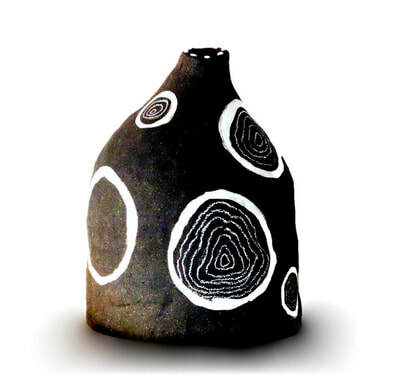 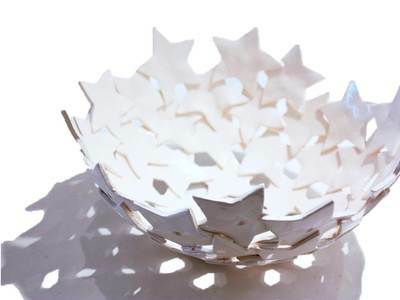 She produces a range of work including vases, vessels and wall relief sculptures. Kaye Bustin works with the elements of Nature – clay from the earth, water to work it, air to dry it, and fire to harden it in her kiln. 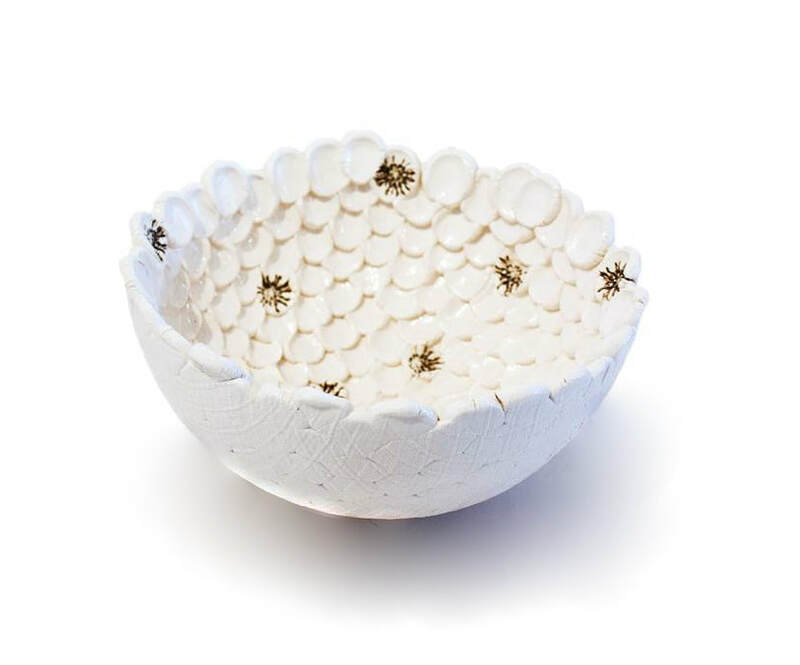 Nature also enters her artwork in terms of design – she uses what she finds in her local environment to bring beauty and texture to the surface of her ceramic art. 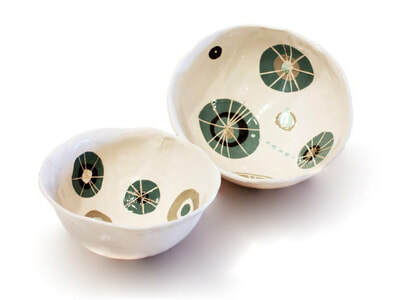 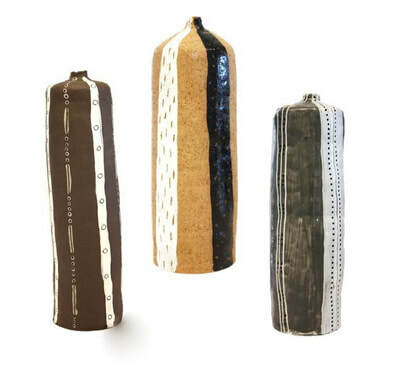 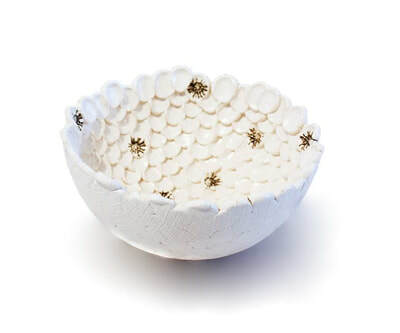 She impresses a range of found flora and fauna into her ceramics including spinifex, kina, kowhai, pohutukawa and manuka, celebrating the naturally occurring organic and intricate textures. Kaye Bustin graduated from Liverpool John Moores University with an Honours degree in Art. 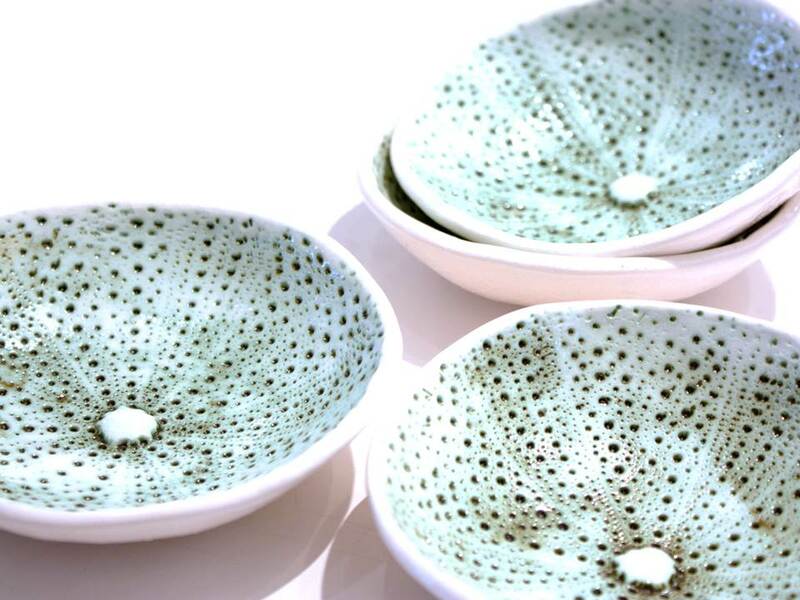 She has extensive experience in teaching ceramics, having done so for over 20 years, and she regularly conducts workshops and demonstrations from her own studio on the Kāpiti Coast. Kaye Bustin exhibits her work in select galleries around New Zealand. 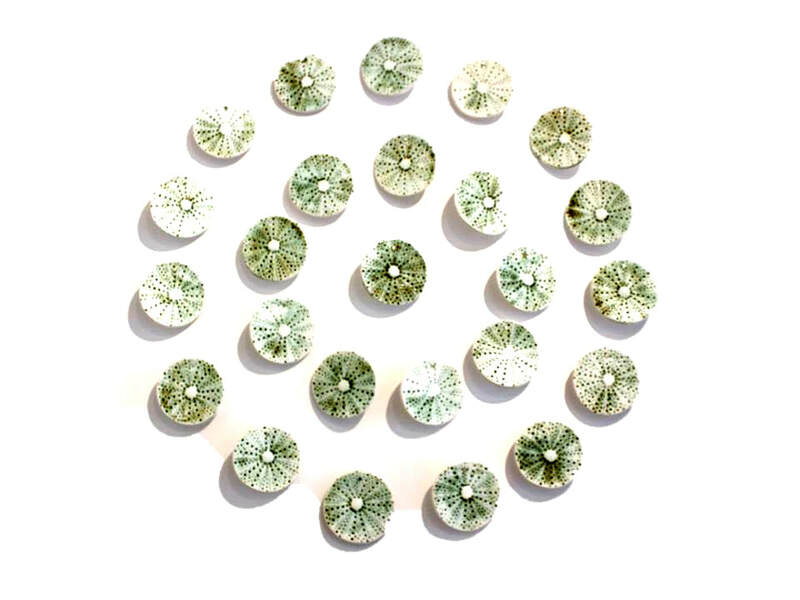 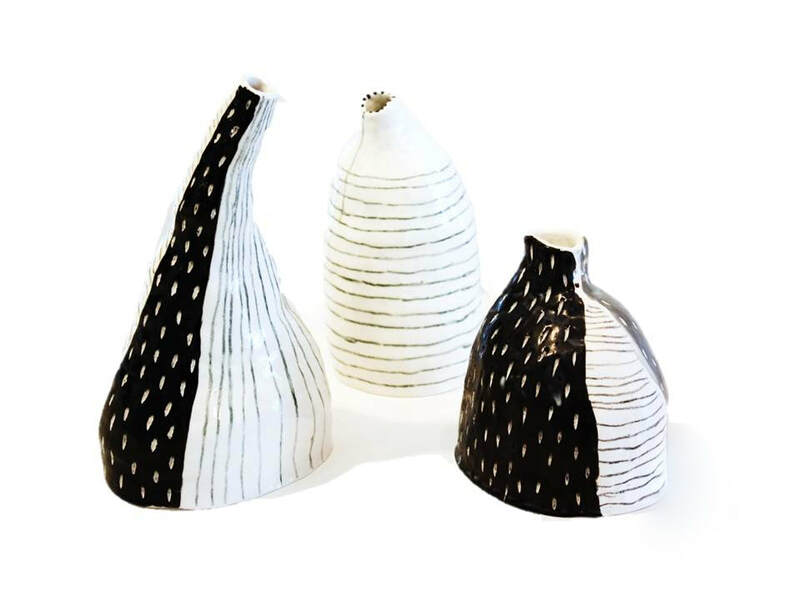 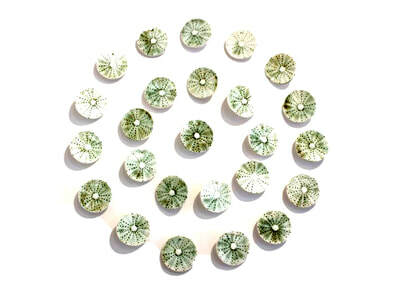 She aims to produce decorative ceramics that are a thoughtful addition to her collector's home.